Electronic cigarettes deliver nicotine without the harmful effects of tobacco smoke. 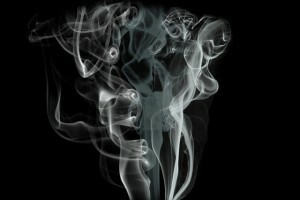 For this reason, they have become incredibly popular with smokers looking for a healthier way to enjoy a nicotine hit. Moreover, on average, e-cigarettes are much cheaper than tobacco-based cigarettes, so they are good for the wallet as well as the lungs. But in what other areas do e-cigs stand up against tobacco cigarettes? Read on to discover how they compare for feel and taste, tobacco versus vapour, and the impact on your everyday life. For many first time vapers, the first thing they notice is the difference in weight between an e-cig and a traditional cigarette. Because a significant part of what makes people addicted to cigarettes is bio-behavioural, it can take some smokers a little while to get used to the alternative feel of e-cigs. However, if you crave the flavour of traditional cigarettes, you will be pleased to hear that you can buy e-liquids that mimic the distinctive tang of your favourite smokes. Having said that, many new vapers decide to dip their toe into a world full of weird and wonderful flavours that e-cigs can offer the connoisseur. Thus, e-cigs allow you to enjoy a coffee or a pint with apple or vanilla flavoured vapour, if you should so choose. E-cig vapour is water-based, and its other ingredients usually include vegetable glycerine, liquid nicotine and FSA approved flavourings. For this reason, inhaling e-cig vapour feels different to inhaling tobacco smoke. If you have smoked traditional cigarettes for years, you will be used to taking short, hard draws to generate the amount of smoke you want. However, when using an electronic cigarette, you will need to take slower, steadier draws to generate the level of vapour that will provide a satisfying hit of nicotine. For more information about tobacco versus vapour, you can read our blog: How Do You Use An Electronic Cigarette? E-cig vapour does not smell like tobacco smoke. For this reason, if you decide to make the switch to electronic cigarettes, your clothes and breath will no longer smell like stale smoke. In addition, because they do not contain tobacco, e-cigarettes do not yellow your teeth and can help improve the quality of your smile. Although some establishments are beginning to ban the use of e-cigs, vaping is still exempt from the majority of smoking bans that exist throughout the UK. This means that by making the switch to electronic cigarettes, you can once again enjoy a hit of nicotine while out with friends or family that don’t smoke. What’s more, you can enjoy your electronic cigarette in public guilt free. This is because the second-hand vapour created by electronic cigarettes is proven to be far less harmful than the second-hand smoke created by traditional cigarettes. So there you have it, an e-cigarette comparison that looks beyond the obvious health and financial benefits.